So, today is the U.S. launch of Forgotten by Catherine McKenzie!!!! If you know my blog, then you know I majorly heart Catherine and her books. In fact, I believe I have taken part in all the different blog tours for the Canadian AND American launches of her books. Yups, that’s how much I dig them. 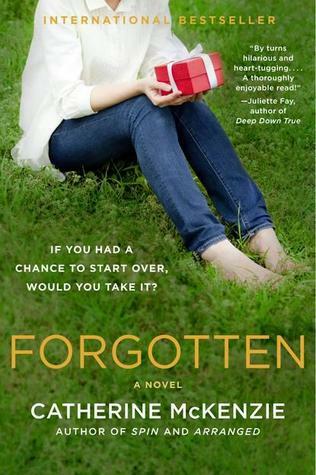 I”m re-posting my original review of Forgotten, which I abs ADORED. I also have a copy for one lucky US reader. Just comment on the review for your chance to win a copy. I’ll run the contest until Oct 22nd. As if dating wasn’t hard enough without a four-to-one ratio! This book was CUTE. And FUNNY. But also WEIRD. Three of my favourite things. And they work so well together when they’re done right. 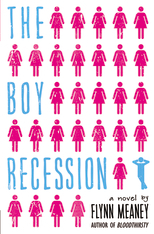 And in The Boy Recession? They are done amazingly. So much fun this book was. So much. Kelly and Hunter are such different characters from one another but they just meshed. And they are REAL. I love real characters. You know the kind. Imperfect, often stumbling over their words, making mistakes. Cringe-worthy mistakes. Which, IMHO are the best kind when it comes to characters in books. And the whole lack of boy situation? So funny and horrible and awkward. Yes, I know I’m using a lot of descriptive words here. I can’t help it. Sometimes I love a book but have a hard time saying why. When I try to explain, full sentences don’t come out. Only descriptive words. Seriously, ask the hubs. He often gets explanation in just a string of descriptive words. Know those funny, feel good teen movies with just a bit of edge? The ones that do it right? (I’m looking at you, Easy A.) That’s what Boy Recession reminded me of. Which is all kinds of good in my books.